They say taking the first step is always the hardest. It was dark when he entered the basketball court. He quickly found the switch and flicked it on. The entire court was now awash with light. As he stood there taking a deep breath, his first impulse returned. It was always the same thing, the same memory that he surrendered to. The memory of sitting on the bleachers while his team was on the floor. The memory of helplessness. The memory of never wanting to return to the game again. But this is where his next impulse always took over – a result of many years of intense emotional training – and he took his first step. An hour later, he was in drenched in sweat and satisfaction. After that first step, he usually found that the path opened up. This hour long game of basketball was the initial step he took every single morning. It was the way he stepped into the world consciously and with purpose. It was how he looked at the world. It helped him know that he could not – would not – be defeated easily. No wonder then, he had conquered so much in the past few years since that ill fated heart condition that made him sit in the bleachers when he should have been shooting hoops and flying high as one of the best players on the team. While dreams of making it as a basketball player may have been cut short, he had retained the never say die spirit. And now, here he was, standing in his own basketball court – a fully equipped state of the art space that he had built as a billionaire. And he was playing with a basketball team he had bought – one of the best performing ones in the NBA. Because he knew when to take that first step, and he knew when to say no. She could not say no. And it was not just a flaw – it was like her arch rival, living and throbbing in her very own mind and body. She would nurture it by squeezing her eyes shut at the sound of an unreasonable demand or request, and before she knew it the word be uttered – Sure! As she made her way towards the kitchen, she picked up a few stray toys and books, smiling as she thought about the child behind the mess. She began to stow them away and looked at the time. Past midnight already. She had just finished an assignment and wanted nothing more than to crash. But she had promised her neighbour that she would bake those muffins for the class trip – even though it was not on her charter of duties. As she began to measure out the ingredients, she did a quick mental check of what lay before her the next day. She had finished the next day’s assignment as well so that she would be free to carry out her duties as the chaperone parent on the class field trip. And she knew she needed her sleep because as soon as the field trip would be over, she would have to rush back home for the next assignment of the day. On the way home, she would have to pick up the dry cleaning and a new pair of football socks for her daughter. She smiled as she thought about 7 year old Uma. The young one was a jock! She played football and hopped right off the bus and into the tennis court for lessons every single day. And as if that was not enough, she would be downstairs every evening after homework, on her roller blades. She remembered her own days spent as the captain of the girls basketball team. The memory was always clouded by an injury that she suffered on the basketball court in her final year. She was to get the trophy that year – in fact she was merely two matches away. But that injury had ensured she didn’t. Still, she had so much more to smile about. Except the cupcakes. She wondered why she had not said no. She was already carrying out her duties the next day – why did she succumb to someone’s begging and pleading to take on more? It was something she would have to learn – and fast. The Forbes magazine lay on the table like a forgotten object. Richard Page stood in the conference room, softly asking a few questions and furnishing a few insights. Yet, there was no doubt in the minds of those seated before him, that there was a storm lurking right behind this calm. Richard thus had their complete attention. At over six feet, he towered over most of them. Sharp features and an easy smile that rarely surfaced, usually helped him stand apart from the crowd. He dressed in a simple way – a tee shirt with a casual blazer and jeans or trousers. And a watch – always a good watch on those strong wrists. His no nonsense style came through in the way he moved. He power walked and never realised it. That morning, his team had received a copy of the latest Forbes magazine with his face on the cover. In his characteristic style, he seemed embarrassed at the congratulations that came in. In fact, he may have even seemed rude as he tried to duck the compliments. The staff understood and the excitement died its own gradual death. In no time at all, the conference room was filled with team after team waiting for Richard’s keen insights. It was time for action, not for resting on one’s laurels. His question made many of them ponder. And before they could answer, he switched on his laptop and the large screen before them came to life as the projector threw out the presentation on his smaller screen. He pointed at the figures and points he had made next to them. For the next half an hour, he came up with findings that would create a feasible strategy that had already worked wonders for a team that had been all but written off until he had taken ownership. Pretty much like what he had done for his own career. The owner of Unbounded Wireless was once an engineer at Bubble Telecommunications – one of the largest brands in the world. A dream job soon became a ho hum thing that did nothing for the ideas brimming over inside him. He tried many a times to put forth his ideas, but he was usually rebuked because the brand did not want to take any chances. So Richard left. He took the first step towards his dreams and decided to make them come true on his own. With a quick loan on his credit card, he set up his lab at home and product development became his end all and be all for the next few years. Before he knew it, he had made a major dent in the telecommunications industry thanks to the hardware he developed. And today, he was counted as one of the youngest billionaires in the US. Yet, very few people knew about him and his personal life. 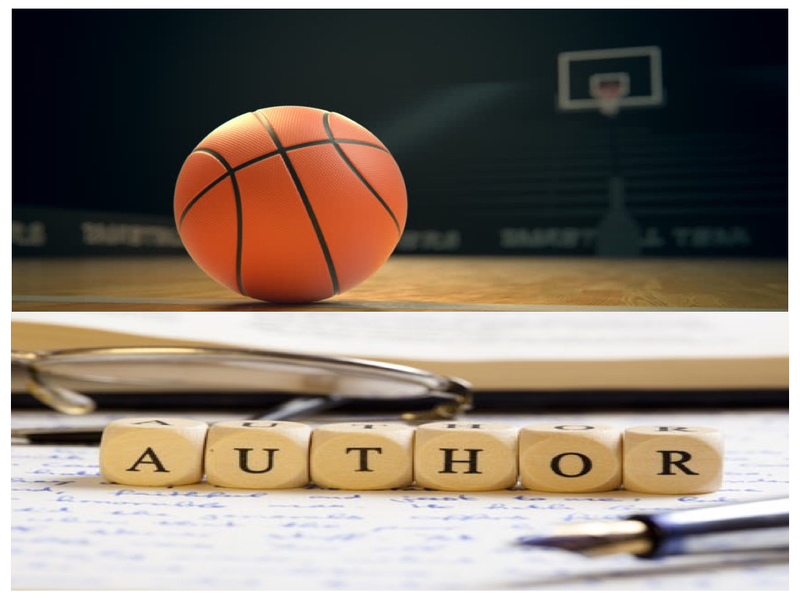 The NBA team purchase had happened soon after and this shy tycoon had finally taken to the stage to address the world waiting to know about the shy tycoon. But the team was an underperforming one that needed a great strategy to go forward. And while the current strategy masterminded by Richard had put the team in the A league, he knew his work had only begun. With accusations of his aggressive attitude flying around, he kept his head down and let his work speak for itself. Later that day, Richard had a meeting with his friend and COO at Unbounded. They were meeting over drinks – a weekly ritual they had begun ever since Richard had finally acquired an office of his own. “Uma!” Ishita called out before getting back into the kitchen. She waited for the familiar sound of her daughter’s feet touching the ground, shuffling around to find their way into the pink flip flops. When she heard it, she got right back to the spread in front of her. Lunch was packed, breakfast was made and a quick snack was slipped into the lunch bag as well. Within ten minutes, she was all set. Half an hour later when Uma boarded the bus, Ishita stood waving. Then, she turned towards them – her girl gang. Her lifeline here in India. Thanks to this bunch, she did not miss her family back in the US. The three of them began their morning walk. Ishita waited for this ritual. As soon as the bus would leave, they would take their first step towards starting their day with some girl talk – husbands, children, stories from the past and so much more would be discussed. The entire township knew their group for their giggling ways – they seemed more like college girls than women with homes, kids and careers. “Only you,” chimed Ishita, sticking her tongue out and ducking as Shelly tried to swat her. “Woke up, stayed up – same difference,” said Deeksha, the one who worked online for a company in the US. And so it went. Ishita cherished these moments and realised what a support system these girls were for her and the young one. Even though she was the only single mom in the group, she had never felt more normal. Earlier, as an army wife who lived life by the book pretty much like everyone else around her, she always felt like a sore thumb that somehow stuck out. As she made her way home, she stopped for a quick chat with the security man. This was an almost daily occurrence where she made sure she touched based with the people who were literally guarding her and making her life easier. A quick wave to the mailman, a smile for the milkman, and a big hello to the guy who washed the cars in the parking lot followed before she ducked into the elevator. And she didn’t even own a car! Once home, she kicked off her shoes and sat down on the floor of her living room. Looking around, she felt a wave of gratitude wash over her as always. She began to sip water from her bottle as she counted the large list of things that made her life worthwhile. But today, there was a disquiet of sorts in her head. She looked at the dining table and the laptop lay there, waiting for her to open it and get started. A marathon session of 25 articles would follow so that she would be free by the time Uma would be home from school. And all this for what? Sure, it paid the bills. Yet, it did not give her a byline or any symptom of growth. She was well respected by the people she worked for because she never skimped on quality or the crazy deadlines. But she was again reminded of a talk she had with one of the people she freelanced for. This agency owner had informed her that a better per word rate would not be possible – not now, and probably not anytime in the near future either. As Ishita recounted the talk, she realised that she needed more. To buy a house and not just live in a rented one. To own a car so that they would not have to rely on public transport alone. To be able to do more with her life. Suddenly, the laptop became blurry. Despite everything in her life, there was a sudden deep unrest. She wanted more. And she needed to do the needful right away before it would become too late. She was a freelancer who always wanted to own a publishing house. She had always shunned the 9 to 5 scenario. It had been 18 years now! So what was stopping her from chasing her dreams now? In fact now she had greater freedom because there was no abusive husband hounding her to take on more freelance work so that the money could be used towards buying property after property. She took a deep breath and recentered herself. No point going back to the past. She needed to take her first step into the future she truly desired. After all, that is the example her mother had set as well. Starting a workshop in the garage and then ending up with a 25 year old successful interior design practice with dad by her side to take care of the growth element could not have been easy – not with 4 kids! And even when it came to Ishita’s chosen line, her parents helped her choose the creative writing course she was best suited for instead of forcing her to go the Doctor-Engineer-Lawyer way which would lead to a “stable” job. She shuddered as she thanked the almighty for giving her anything but typical Indian parents! It brought a smile to her face. Yes, she had nothing to wait for. Quickly, she checked the date. It was the 1st of August. The new assignments would be allotted only by noon and all the previous ones had been submitted. She made three phone calls to the three agencies she worked for. And then a fourth phone call followed. When Uma got home from school that day, Ishita had news for her. The tired face was suddenly brimming with excitement and a pair of bright, shining eyes. The above piece is from a fiction novel called Dreams of Morrow being penned by Devangini Mahapatra, Authorpreneur and Founder of And All.